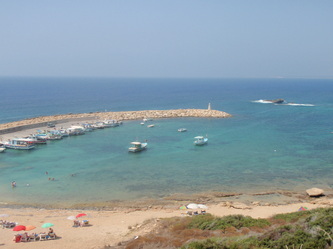 Coral Bay has some of the finest beaches in Cyprus. 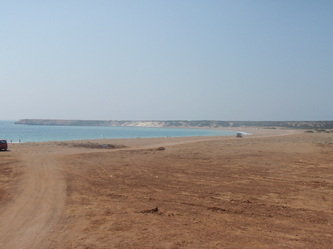 It is a 5-10 minute drive to Coral Bay. 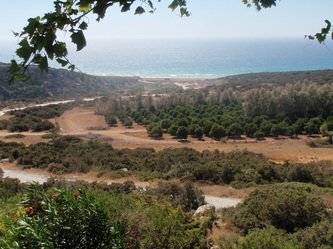 The Akamis Peninsula, reputedly the most beautiful area of Cyprus is about 5 miles away. 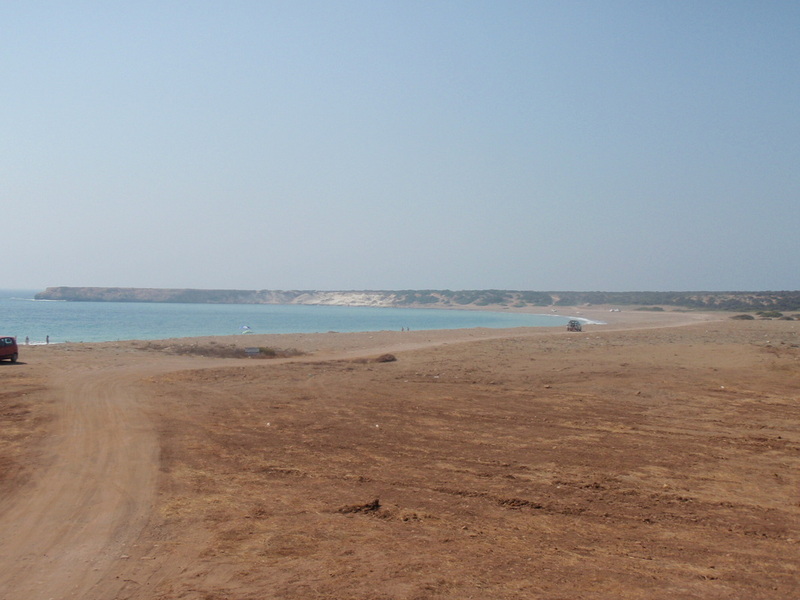 Here are more sandy beaches with very few tourists. 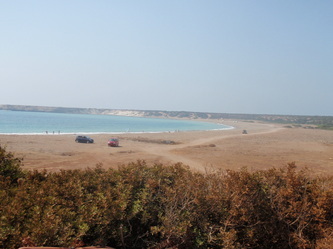 Lara Beach (or Turtle Beach) : the turtle nesting beach is on the Akamis, about 8 miles from the penthouse apartment. During the summer you should be able to see baby turtles. 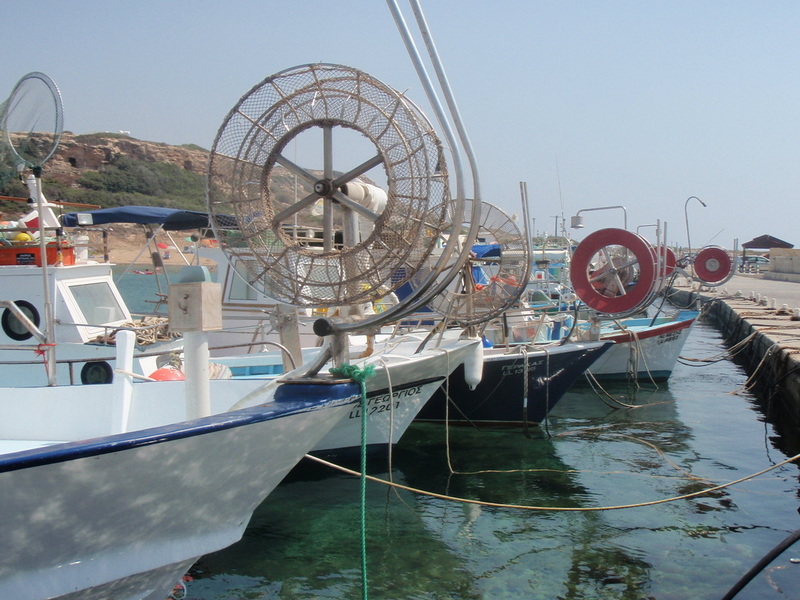 Further to the north is Latchi and Polis with lovely fishing harbours, marinas and beaches. 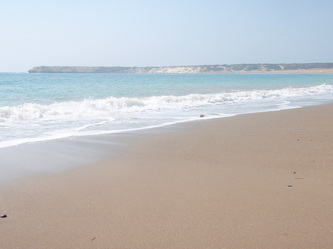 Lara Bay is famous for its nestling turtles in August – September. 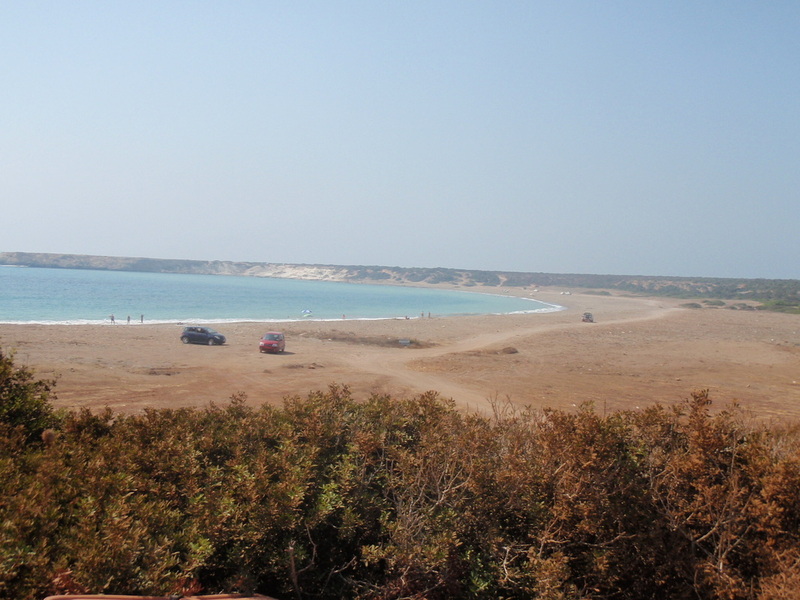 Two endangered turtle species are still found here - green turtle and hawks-bill turtle. 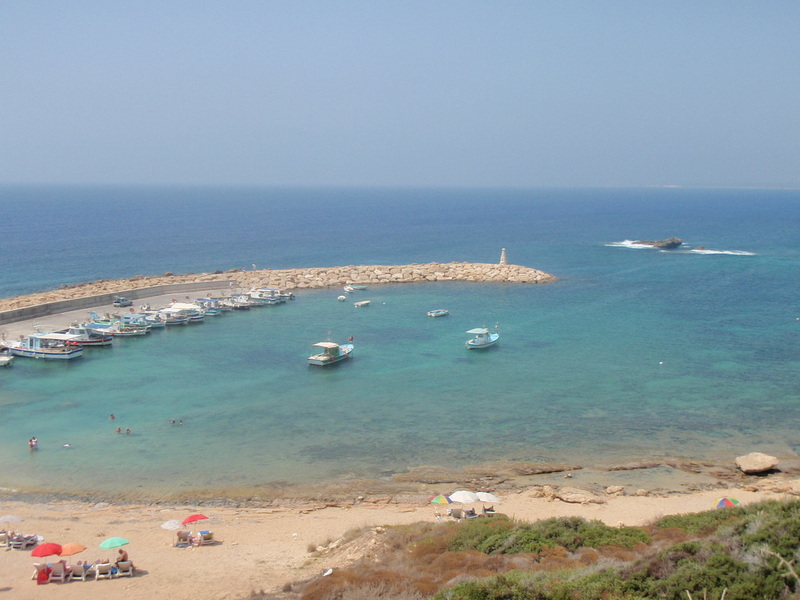 It is a very vast and one of the most beautiful sandy beaches in Cyprus as well. St. Georgeis located on the outskirts of Tremithousa within easy driving distance of Paphos and Coral Bay. 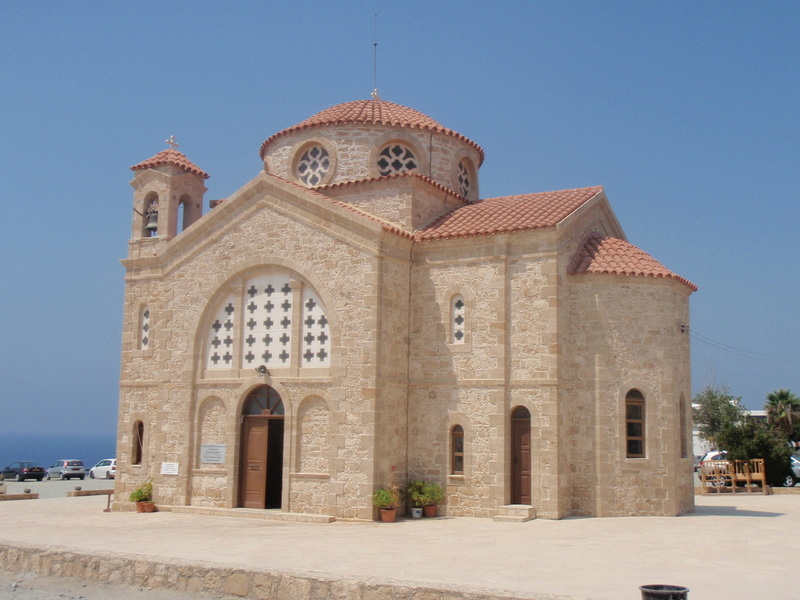 With stunning views of the Mediterranean Sea the beautiful church is situated high on the hill with commanding views of the intimate harbour below a great place to while away a lazy afternoon. 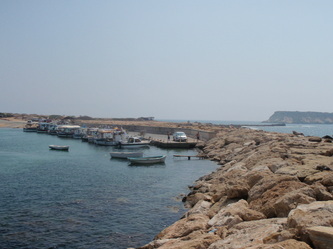 The gorgeous Akamas peninsula, on the north western tip of the island has a unique but fragile beauty.Unique, as it is the last coastal region on the island of Cyprus to remain largely untouched by mass tourism and development. Fragile, as the beauty of the Akamas remains under threat. Whilst conservationists have lobbyed to protect the area for the past 20 years, the government is yet to fully declare the area a Cyprus National park as it tries to please local landowners as well as maintaining the region's tourist appeal. 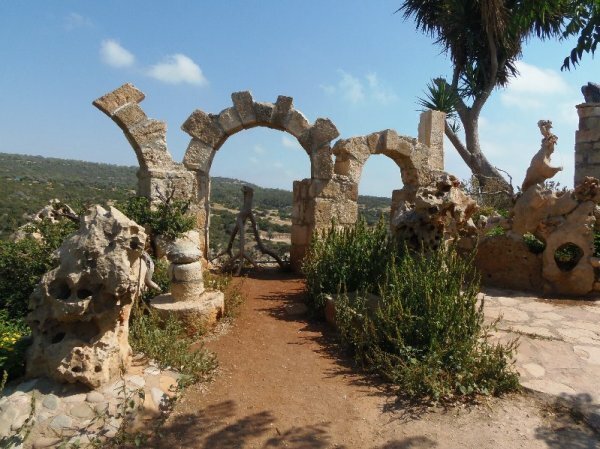 Golf: There are a number of golf courses all over Cyprus such as Aphrodite Hills Resort which is home to a magnificent 18-hole championship golf course, spreading over 6,299 metres and overlooking the site where Aphrodite, the goddess of love, is said to have emerged from the sea. The golf course also has a dedicated 3-hole Golf Academy and magnificent Clubhouse. 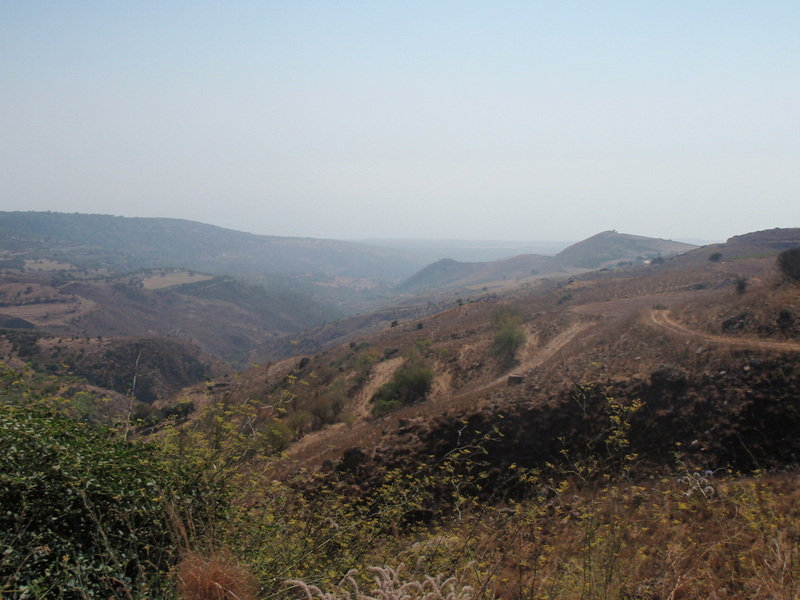 Minthis Hills Championship Golf Course: is about 20 minutes away. This has a new island hole and is a lovely mountain top course, cool in summer. A new clubhouse is about to open...stunning! Aphrodite Hills is an outstanding Championship Course with breathtaking views. It is challenging for amateurs and the more experienced. Secret Valley, another beautiful course, (about 40 mins) has a spa. Elea Golf Course (25 mins) has recently been opened by Sir Nick Faldo and is a wonderful course also. 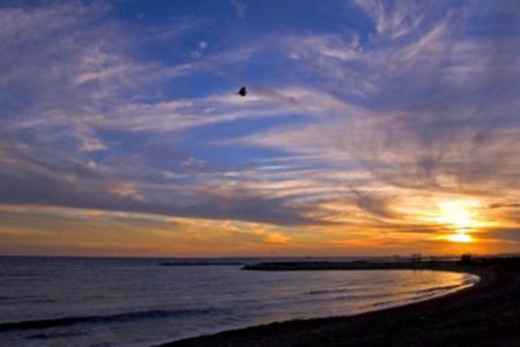 We are spoilt for choice in this area of Cyprus! 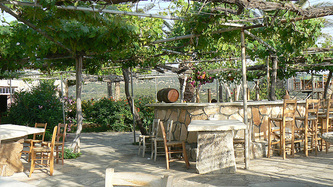 Last Castle restaurant: A very popular, open air restaurant, on a hill top over looking the Akamas Peninsula. The view from the restaurant is reputed to be one of the best in Cyprus and you can't fail to see why. 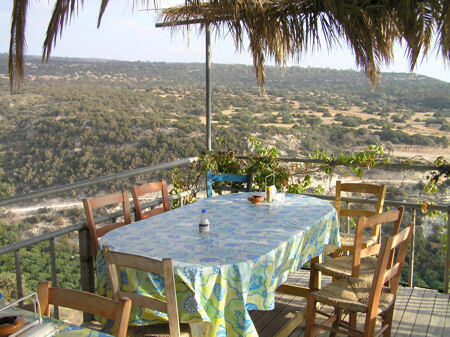 Surrounded by fruit plantations and with a breathtaking view of the unspoilt beach's and deep blue sea.The restaurant serves a perfectly cooked and delicious souvla daily, consisting of pork and chicken served with a jacket potato or wedges, village salad and bread. It is a licensed restaurant and all other beverages are also available. 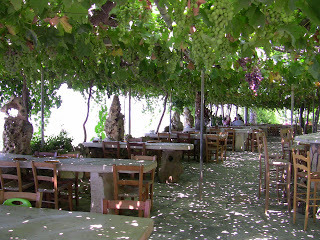 The restaurant is well shaded by flowering shrubs and vines providing a unique setting. There is plenty of seating with different arrangements and all of the table tops are large slabs of solid stone, just think Flintstones and you have the picture. There is no menu and visitors don't expect one, which all adds to the charm and ambiance of the restaurant. Paphos: a small charming harbor town, on the west of the island, which has been, during certain times in antiquity, the capital of Cyprus, has a history which goes back literally thousands of years, and has always attracted visitors from the rest of the island and abroad. 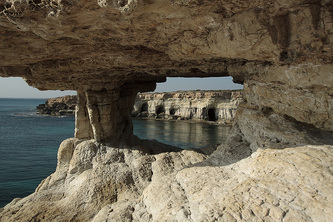 Sea Caves: is quiet and rural. 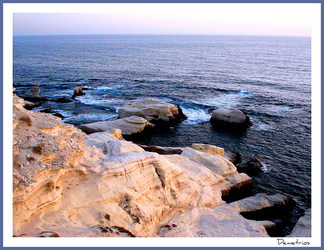 Enjoy an evening walk along the cliffs, watching the sun set in the west. The coastline is dramatic, being formed into rocky outcrops and natural caves. 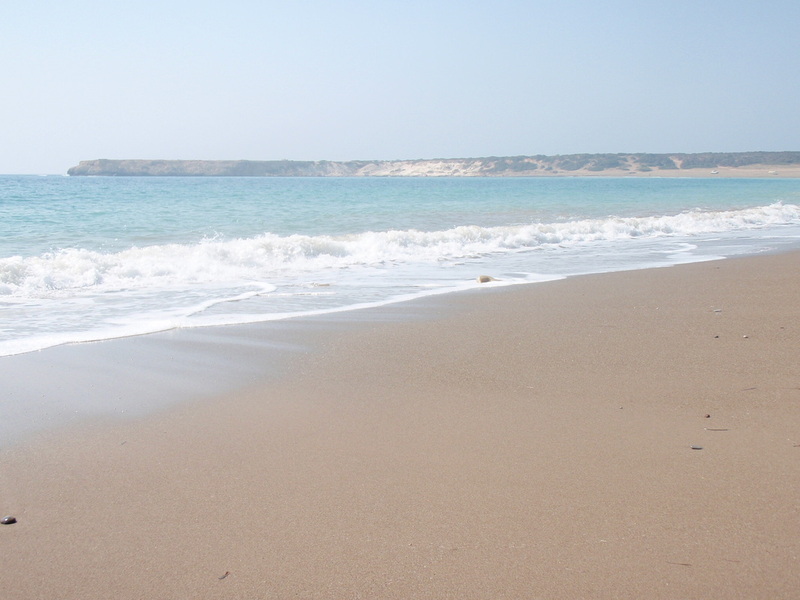 Perfect to unwind away from it all. The Tomb of the kings: The tombs are impressive, carved out of solid rock, some featuring Doric pillars and frescoed walls. The design is heavily indebted to Macedonian prototypes, passed on from Alexander's armies to the Ptolemies. Eight complexes have been singled out and numbered for visitors, with 3, 4, and 8 being the most elaborate. Some tombs are reached via stairs that lead into sunken rectangular courtssurrounded by Doric columns carved from the rock. Originally the tombs were covered with stucco and the walls were decorated with frescoes.